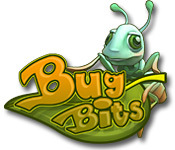 BugBits is rated 4.2 out of 5 by 12. Rated 5 out of 5 by superdennis2000 from Cool but hard Most times realy hard but sometimes realy easy cause of the strategy you use. cool textures for the bugs and cool effects and sound effects. but it is overall a good game! And my favorite. Rated 5 out of 5 by geschenke from Bug Bits Enjoyed this game. It was fun to strategize and complete the levels. Rated 5 out of 5 by Jubby848 from one of my favorites This game struck a chord with me, for starters I love strategy games, I also love Antomology, and good game music. 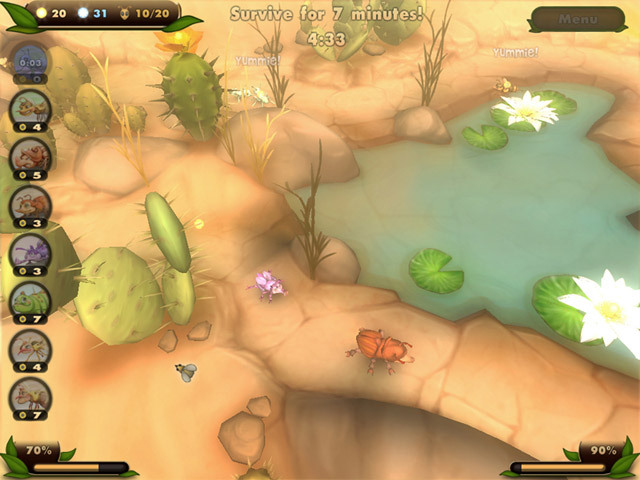 Bug Bits is the place to go to kill 5 minutes a level with daring rescue missions to recruit more bugs, some-what peaceful gathering missions, suspenseful deffending levels, and nail-bitting attack missions. The menargerai of bugs you command is spectacular, you control all the normal guys (ie. ants beetles spiders...) to a, and I quote," BigBangBug". What does that mean you ask? well he's a bug thing with a ginormous thorax that exlodes upon impact. The music i spectacular and fits everylevel. In short I'm proid to say that this is my sixth favorite game! Rated 5 out of 5 by s_kane24 from Visually one of my favorites I am not sure why but I have played this game numerous times and still find it as enjoyable as the first! Rated 5 out of 5 by FikriEkaTea from I very like it the game is very exciting, because we have to rescue other insects, collecting food, etc. Rated 4 out of 5 by Moswen from Bug battles! bzz bzzz, snip snip, clippety clip - FUN:) 2 sides, only one outcome.... Victory!!! 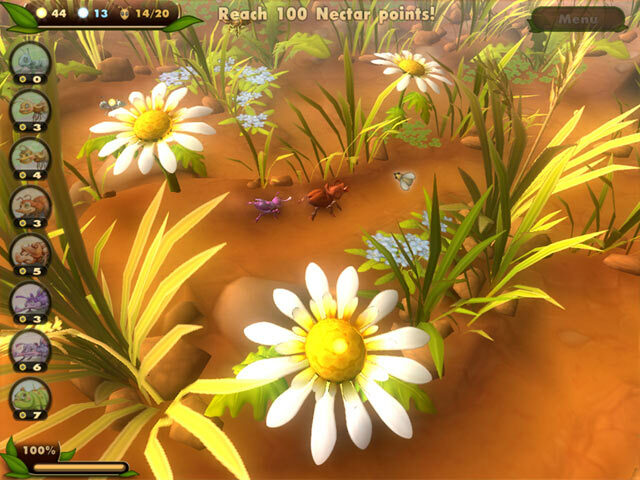 Pit your bugs against those of the enemy tick, feeding your army on nectar and destruction! 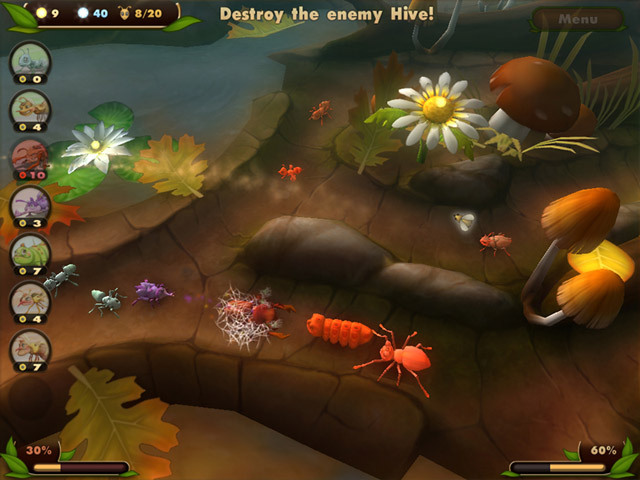 A nice 2 sides of the screen versus game, where bugs travel down paths and you have to either: survive for a specific time, destroy the opposition's hive, or rescue a bug warrior to join your army. The main driver in the game is 'what bug am I going to get next?' which keeps things interesting. The graphics are lovely, the music good (though repetitive). As a change from typical HO gaming - blissfully different. I had a similar issue as Iacard who has reviewed this game too. On some levels to make your bugs come out of the bottom entrance is 'clicky-tricky'. I clicked further forward of the arrow which seemed to work most of the time. A nice short and simple game (Took me 2 evenings), with a rock hard end level. The demo will give you a good feel for the game-play, which is pretty consistent throughout. Enjoy! Rated 3 out of 5 by lacard from Uninstalled Bought this game because the first hour was great. Graphics are beautiful. The developers put a lot of time into the characters and artwork. The music is very pleasant. Game play, however, gets to be annoying at best. The bottom entry point for the bugs did not work as the game progressed in complexity. Of course, that's where the enemy bugs entered and I couldn't do anything about it. I changed to the lower resolution option but then I could hardly see what was going on. I watched the nectar counts and they do not add up. Higher level bugs on your side do not perform the same as the same level for the other side. Overall, I'm sorry I bought it. The first hour and beautiful graphics fooled me.